Posted by ស្រុកខ្មែរ ស្នេហ៍ខ្ញុំ in ព័ត៌មាន​ជាតិ, វិទ្យាសាស្ត្រ. On behalf of the entire NASA family, I would like to express my deepest condolences to Carol and the rest of Armstrong family on the passing of Neil Armstrong. As long as there are history books, Neil Armstrong will be included in them, remembered for taking humankind’s first small step on a world beyond our own. Besides being one of America’s greatest explorers, Neil carried himself with a grace and humility that was an example to us all. When President Kennedy challenged the nation to send a human to the moon, Neil Armstrong accepted without reservation. As we enter this next era of space exploration, we do so standing on the shoulders of Neil Armstrong. We mourn the passing of a friend, fellow astronaut and true American hero. 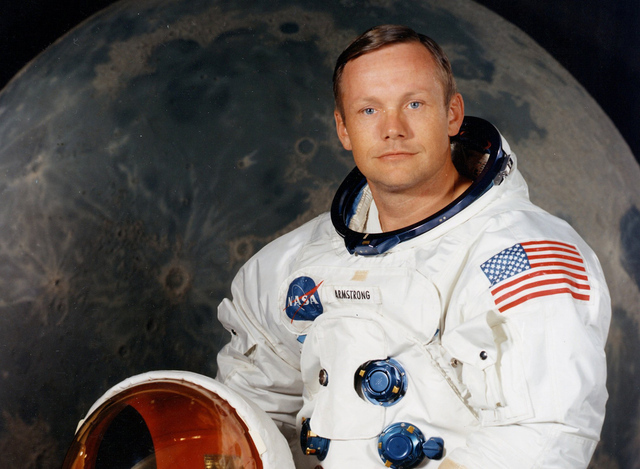 Neil was among the greatest of American heroes – not just of his time, but of all time. When he and his fellow crew members lifted off aboard Apollo 11 in 1969, they carried with them the aspirations of an entire nation. They set out to show the world that the American spirit can see beyond what seems unimaginable – that with enough drive and ingenuity, anything is possible. And when Neil stepped foot on the surface of the moon for the first time, he delivered a moment of human achievement that will never be forgotten. Today, Neil’s spirit of discovery lives on in all the men and women who have devoted their lives to exploring the unknown – including those who are ensuring that we reach higher and go further in space. That legacy will endure – sparked by a man who taught us the enormous power of one small step. What a great loss of humankind (though it’s another death of a simple man)! Neil Armstrong, the first man — who with his crew of the Appolo 11 spaceship set foot and walked on the land of the Moon on July 20, 1969 — left all the Earth dwellers in the Mourning. However, his name’ll be remembered by all on and on. The greatest man – not just of his time, but of all time.